Jordan Todman is adding to his jersey collection once again. The running back/kick returner is signing with the Texans, a source tells Brian Costello of the New York Post (on Twitter). Todman signed with the Jets in June but he was let go earlier this week. He has appeared in games for four different NFL teams over the last six years – not counting cup-of-coffee type stints like he had in New York – but he is hoping to find some stability in Houston. Most recently, Todman spent the 2016 season with the Colts where he carried the ball only nine times and contributed mainly on special teams. He had 16 kick returns for a total of 478 yards in 2016, giving him a strong 29.9 yards-per-return average. That total includes one spectacular 99-yard return for a touchdown against the Packers in November. The Texans’ rushing attack will be led by Lamar Miller with support from Alfred Blue and rookie D’Onta Foreman. Akeem Hunt and Tyler Ervin are also fighting for backup RB spots. The Jets are expected to sign veteran running back/kick returner Jordan Todman, a source tells Adam Caplan of ESPN.com (on Twitter). Terms of the deal are not yet known, but this is likely a one-year pact. Todman, 27, has bounced around between four teams in six years. Most recently, he spent the 2016 season with the Colts where he carried the ball only nine times and contributed mainly on special teams. Todman had 16 kick returns for a total of 478 yards in 2016, giving him a strong 29.9 yards-per-return average. That total includes one spectacular 99-yard return for a touchdown against the Packers in November. Jets fans looking to forget about their troubles can view the impressive play on YouTube. The Jets already have a big group of running backs, including main guys Bilal Powell and Matt Forte plus reserves Brandon Wilds, Elijah McGuire (rookie), Brandon Burks, and Romar Morris. As a return specialist, Todman may have a leg up on making the 53-man roster. The Dolphins announced on Twitter that they’ve signed receiver Griff Whalen, who spent the first three years of his career in Indianapolis. Whalen totaled 19 receptions, 205 yards and a touchdown in 14 games last season. His best output came in 2013, when he amassed career highs in catches (24), targets (40), yards (259) and scores (two) in just nine games. 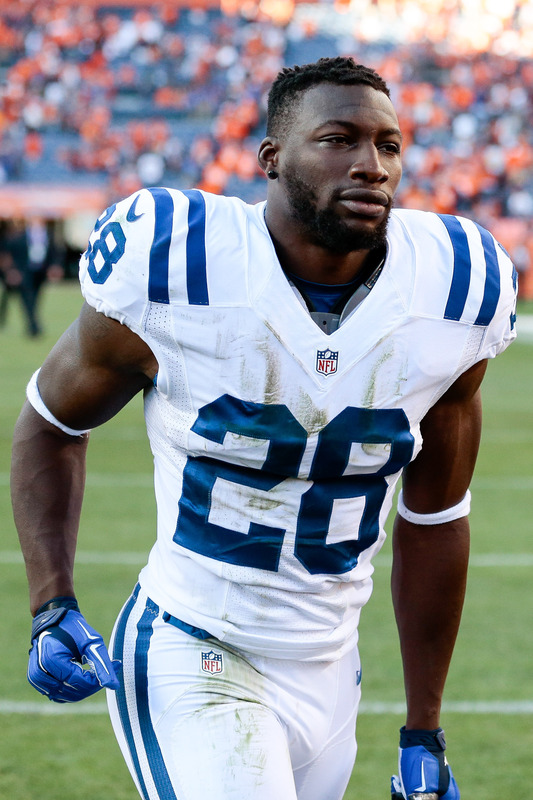 The Colts have signed running back Jordan Todman, they announced via press release. The Colts are the fifth organization for Todman, a sixth-round pick in 2011 who was most recently with the Steelers. After combining for 147 touches (108 rushes, 39 receptions) from 2013-14, he totaled a mere four last season. The Chiefs tweeted the signing of linebacker Tautvydas Kieras, a native of Lithuania who attended Mississippi State. Kieras didn’t play college football there, however, instead starring in track and field. He set the school record in the discus. The Vikings have signed tight end Brian Leonhardt to a one-year, $600K deal, per ESPN’s Ben Goessling (on Twitter). Leonhardt has appeared in seven career games with the Raiders and 49ers since entering the NFL in 2014. He has seven catches and a touchdown to his name. The Panthers cut 22 players to officially reduce their roster to 53, reports Max Henson of Panthers.com. In addition to placing rookie defensive end Arthur Miley on injured reserve and reaching an injury settlement with offensive lineman Brian Folkerts, the Panthers cut Jordan Todman. This leaves Fozzy Whittaker and Cameron Artis-Payne as Jonathan Stewart‘s primary backups. The Panthers have added several role players to one-year deals recently, and David Newton of ESPN.com provides the contract details. Linebacker Jason Trusnik will earn $950K ($80K guaranteed), running back Jordan Todman will get $765K ($20K guaranteed), and receiver Jarrett Boykin will receive $700K ($20K guaranteed). All three will earn slightly more than the minimum required for their respective years of service time. Receiver/return man Chris Williams has worked out for the Colts, Buccaneers, and Bengals, league sources tell Aaron Wilson of the National Football Post. The 27-year-old Williams spent the 2014 season with the Bears, appearing in six games, and returned one kickoff for a touchdown. In his latest draft diary entry for the Baltimore Sun, Penn State safety Adrian Amos reveals that he worked out for Buccaneers safeties coach Mikal Smith, and also notes that he worked out for an AFC team, though that club asked Amos not to mention them by name in the piece. The Buccaneers picked up the $4MM guaranteed in Dashon Goldson‘s 2015 base salary when they traded him to Washington on Friday, and the Jaguars could employ a similar tactic if they want to deal tight end Marcedes Lewis, suggests Ryan O’Halloran of the Florida Times-Union. If Jacksonville converts some of Lewis’ 2015 base salary into a signing bonus, O’Halloran writes, the market for the tight end could grow. We heard last month that the 30-year-old was drawing trade interest. The Panthers have signed a free agent running back, adding Jordan Todman to their backfield on a one-year deal, the team announced today (via Twitter). Todman, who turned 25 last month, was selected in the sixth round of the 2011 draft by the Chargers, and spent time in San Diego and Minnesota before landing with the Jaguars. Todman has played for Jacksonville since 2012, totaling 450 rushing yards on 111 carries and 314 receiving yards on 40 catches during his 33 games with the Jags. The Connecticut product is also a special teams contributor, and was Jacksonville’s primary kick returner in 2014, averaging 25.6 yards on 38 returns. In Carolina, Todman will join a group of running backs led by Jonathan Stewart and Mike Tolbert. Darrin Reaves and Fozzy Whittaker are also under contract with the Panthers, so Todman will have to fight for a roster spot and for playing time. One player he won’t have to beat out is longtime Panthers back DeAngelo Williams, who was released by the team earlier in the offseason. The Colts signed free agent fullbacks Stephen Campbell and Cameron White, according to Mike Chappell of the Indianapolis Star (on Twitter). The Jaguars have re-signed exclusive rights free agent Jordan Todman, according to Howard Balzer of The SportsXchange (via Twitter). The running back received a $645K ERFA tender from the team last month. Offensive lineman Nate Menkin, who played his college ball at Mary Hardin-Baylor and joined the Eagles and Texans after going undrafted, has signed with the CFL’s Ottawa RedBlacks, according to Aaron Wilson of the Baltimore Sun (via Twitter). 2014 will be the first season for the RedBlacks, an expansion franchise. Raiders linebacker Kaelin Burnett has signed his ERFA tender for the 2014 season, the team announced today (Twitter link). Burnett played primarily on special teams for the club in 2013, recording 11 tackles in kick and punt coverage. The 24-year-old will be in line to earn a $570K salary this year.